Kemp said on Thursday that he is moving forward with the gubernatorial transition from his post as the Georgia secretary of state. The Georgia Republican will resign from his post at noon Thursday. 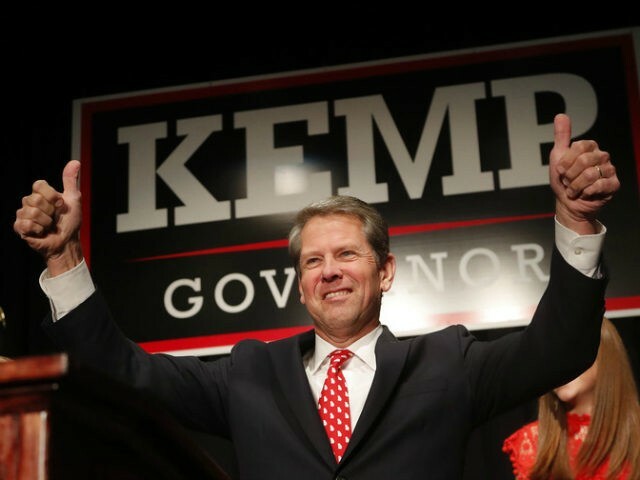 Despite Kemp’s declaring victory, Abrams has yet to concede the election to Kemp, citing potential mail-in ballots that the state has yet to count. Kemp currently leads Abrams by three percent, or roughly 63,000 votes, making Abrams’ potential last-minute mail-in ballot pickup unlikely. Abrams’ campaign manager, Lauren Groh-Wargo, said the Kemp team provided no “proof” regarding his victory. Groh-Wargo said, “He’s offered … no indication of why we should take him at his word. The sitting secretary of state has declared himself” the victor. Abrams said she will continue to press on to fight for the state to count more votes, citing outstanding votes, absentee ballots yet to be counted, and provisional ballots. President Donald Trump campaigned for Kemp on Sunday in Macon, Georgia, slamming Abrams as one of the most radical leftists running for office during the 2018 midterms.